French patio doors exude timeless style and sophistication. Featuring expansive glass and rich design detail, French doors create a seamless transition between your home and the outside world. In today’s post, Renewal by Andersen® of Louisville/Lexington shares a few design ideas to make your French doors stand out even more. More Interior Lighting – You can emphasize your French doors by installing lighting around the area. This draws attention to the doors, while also directing people’s views to the outdoors. Add a Luxury Aesthetic – French doors are the fanciest style of entry doors. You can make your French doors even more elegant by investing in the right hardware. Our design specialists will work with you to help you custom design the French door of your dreams, one that lends a sense of luxury to your home. Door and Window Combination – If your home looks out on a beautiful view, you can bring nature inside by installing windows alongside your French patio doors. This will allow you to create a wall of windows, flooding your living space with refreshing natural light and providing a panoramic view of the outdoors. Visual Dividers – You can also use French doors to create two separate spaces within your home. For example, you can install French doors between your home office and the living room, allowing you to close the door and work in peace while simultaneously keeping an eye on your child as they entertain themselves in the next room. It’ll also make the room feel larger than it actually is. Turn to Renewal by Andersen of Louisville/Lexington for your window and door needs. 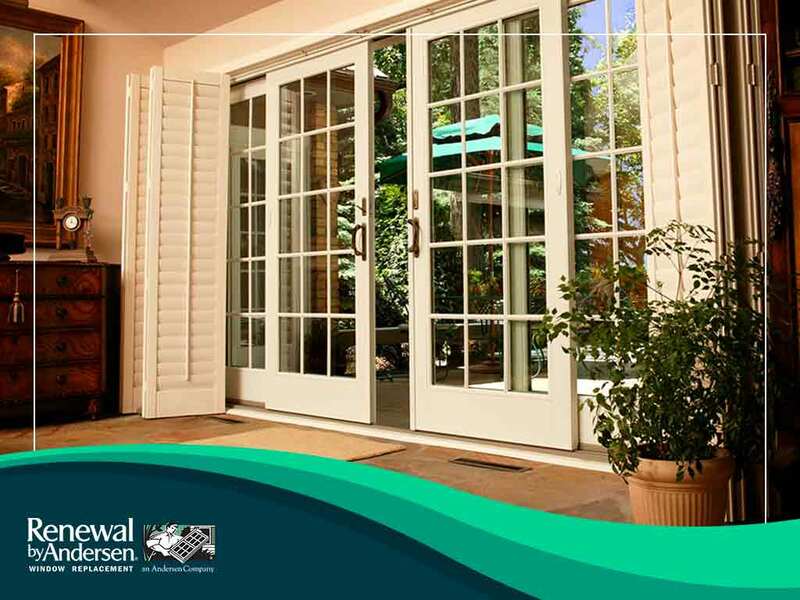 We are your leading provider of services for replacement doors. Give us a call at (502) 716-7264 or fill out our contact form to request a free consultation. We serve clients in Louisville, KY, and nearby areas.